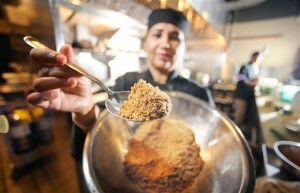 See What Foods Contain Ground Up Crickets, You Eat Them Every Day. 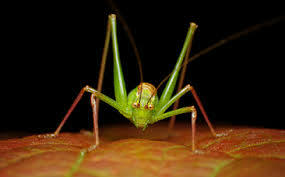 Crickets, The Hidden Ingredient In Your Cheetos And Quaker Granola Bars. 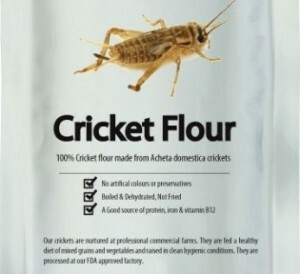 An Ohio Cricket Farm is slating the way to providing Cheetos (PepsiCo) with ground crickets for their flour. This is the first farm to breed insects for human consumption and has opened in a warehouse in rural Ohio. The creators of Six Foods, believe that blending crickets with other more familiar ingredients will help people overcome the discussed, while creating a high protein snack everybody loves. And that’s exactly what big corporations like, CHEAP! And companies like PepsiCo know consumers will continue to eat these products because we are already hooked on the junk food snacks. PepsiCo uses the ground cricket flour in several of their products which include: Quaker Granola Bars, Quaker Oatmeal, Cap’n Crunch Cereal, Quaker Life Cereal, Quaker Shredded Wheat Cereal, Aunt Jemima mixes, Quaker Rice Cakes, Quaker Tortillaz, Doritos, Cheeto’s, Lay’s products… the list goes on and on. According to the IbTimes report on Six Foods Corporation, it is much cheaper to feed and produce crickets, and their future plans are to mix these crickets with beef as well. While it takes 22 pounds of feed to get about 2 pounds of beef, it takes only 3.75 pounds of feed to produce 2 pounds of crickets. Pound for pound, insect farming emits 1% of the greenhouse gases produced in rearing sheep or cattle and requires much less water. Now whether or not they are willing to announce this change, is still to be determined. According to reports the FDA is not requiring them to label crickets as an ingredient, just as they do not require them to label GMO’s. However, you might notice a label that says “High in Protein.” If this angers you as a consumer, please share and get the word out!